alt-J‘s first two albums were flurries of activity, with peaks and troughs doled out as readily as their tumultuous album covers would imply. 2012’s An Awesome Wave marked the culmination of five years of work in a debut that saw the then quartet earmarked as the next saviours of a British alt-pop/rock scene whose slow demise was arguably well and truly underway. The resulting eclectic freneticism found in the contrast between tracks like the looming, foreboding ‘Fitzpleasure’ and dainty, delicate ‘Matilda’ however, was indicative of an album which proved innovation and experimentalism to be still-relevent concepts to up and coming bands, and unveiled a band that has been one of the country’s flagship artists ever since. RELAXER is the now-trio’s newest offering, heavily teased, with singles littering the auditory landscape over the last couple of months; and the third in succession to be produced by Charlie Adams in studios across London, from Crouch Hill to Brixton. It’s fitting, then, that with the departure of 25 per cent of their members in Gwil Sainsbury, RELAXER leaves Joe Newman, Gus Unger-Hamilton and Thom Greene with an alt-J album that is more aerodynamic and refined than ever. The opener, ‘3WW’ saunters into view, with guitars pirouetting, a bass note that thrums and an exotic-sounding maraca undercutting the scene to give the track a labyrinthine feel and, in so doing, disrupting the alt-J tradition of curtain-raising Intros seen in previous works. It’s an understated beginning; less pomp, more nuance, and endearingly so. In fact, this seems to be true of the whole album. ‘In Cold Blood’ is most happily comparable to This Is All Yours’ ‘Left Hand Free’, with stripped back percussion providing a driving force in the form of crisp snares, coupled with towering horns and a quintessentially alt-J string of ‘la la la’s providing a veritable earworm of hook. On the other hand, more delicate numbers like a particularly haunting not-quite-cover of ‘House Of The Rising Sun’ and ‘Adeline’, catch Joe Newman’s vocals and the band’s ghostly harmonics at their silk-laden, hushed best. RELAXER isn’t without its theatricality, mind you. The aforementioned ‘Adeline’ takes its time in glowing and pulsating, increasing in brightness before combusting into an ever-so-slightly menacing concoction of orchestral strings and ‘ya ya ya’s. Likewise, final track ‘Pleader’ is a rich, colourful tapestry of strings and voices, while ‘Deadcrush’ stands out as a rasping, ominous sliver of sleek, computerised delight only possible, I think, in the streamlined context that this album seems to suit very nicely indeed. 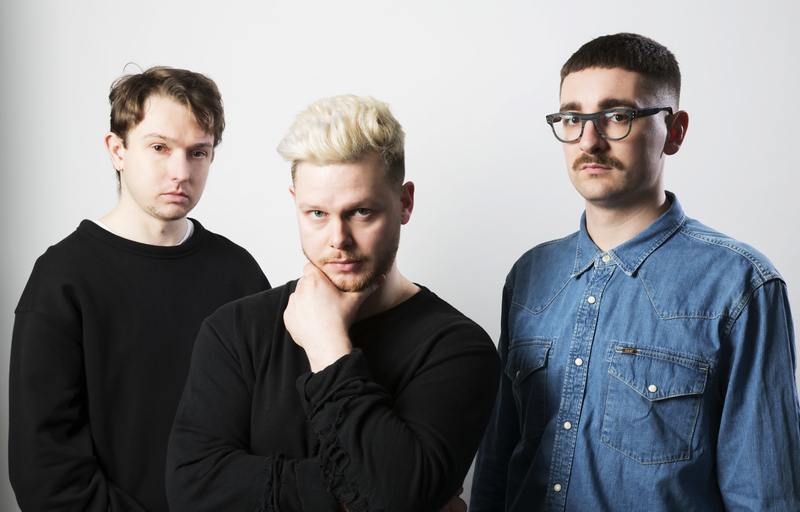 alt-J were cannoned into the British indie-rock stratosphere with the success of their debut, and its 2014 follow-up took a big step towards keeping them there. As the final notes of their third effort roll on by, a clean, endearingly analogue refinement of the alt-J style tells of a band that know exactly what they’re doing, and are happy and comfortable with their inimitable sound. RELAXER is available today from all good music vendors.